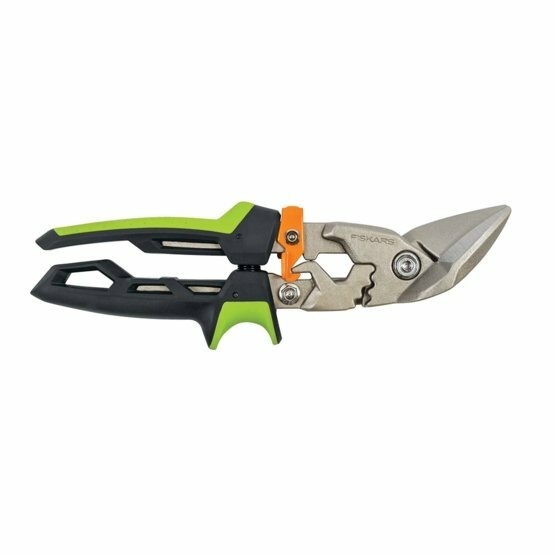 Make tough cuts with heavy-duty PowerGear® aviation snips that give you over 40% more power.Experience advanced mechanics and ergonomics with a new generation of aviation snips that deliver more strength, comfort and control. PowerGear® technology gives you over 40% more power, especially during the toughest part of the cut. This ingenious technology also helps utilize more of your strength by preventing overextension without sacrificing cut length. An ergonomic, spring-assisted handle helps reduce hand fatigue and features Softgrip® for enhanced dexterity and comfort. Plus, an offset design allows you to cut through the center and keeps your hand away from the materials you’re cutting. Forged, heat-treated steel blades and a forged handle improve strength and durability. 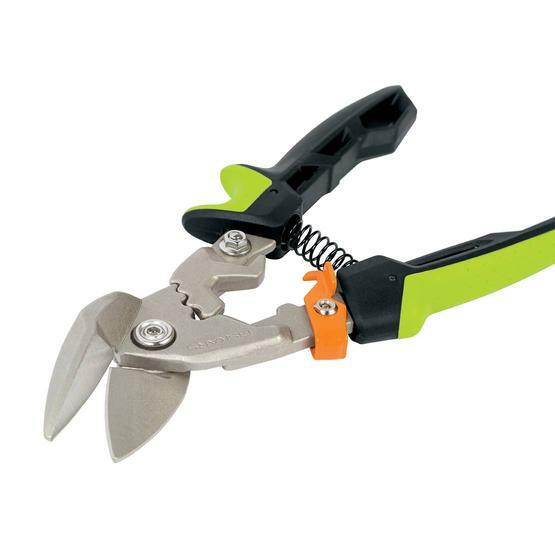 The snips can be locked from above or the side and cut a range of heavy-duty materials.